SEOUL, South Korea, Sept. 12, 2018 /PRNewswire/ -- KRONN VENTURES AG, which has been acknowledged as a technological leader in the blockchain industry, has the original technology of three-way distributed decentralized ledger structure system and Nano-blockchain that combines nano and blockchain technology. It is known to have the technology that shortens the transmission speed, which has been a chronic problem of cryptocurrency, to enable real-time transmission. In this February, a 53-year-old former hedge fund manager Novogratz invested $250 million to build a commercial bank that specializes in cryptocurrency. Since the announcement by Bloomberg Communications, world's leading blockchain companies are getting into the battle to set up a specialized bank for cryptocurrency based on block-chain technology. The Bitwala, a blockchain-based payment service provider in Germany, reported that it had applied to Germany for the establishment of a bank operating around cryptocurrency and is currently waiting for approval. The Binance recently moved its headquarter to Malta and is raising funds to establish a bank for cryptocurrency in Malta. They announced it will own a 5% share of the bank. Bitwala and Binance, who have entered the cryptocurrency banking system in Germany and Malta, are service providers operating cryptocurrency payment services and cryptocurrency exchanges, respectively. They already have a great number of trading members, so they have confidence in the establishment and success of the bank. Meanwhile, in August, MOU for the establishment of an international coin exchange with the Philippines government was concluded by a block-chain company, KRONN. In addition, another MOU for the development of a foreign exchange remittance system and a cultural industry development with the Industrial Bank Co. Ltd., one of the four major commercial banks in China is finalized by KRONN VENTURES AG, based in Zug, Switzerland. 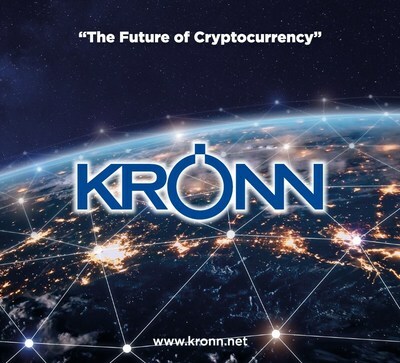 KRONN has been recognized for its technology in the field of foreign exchange remittance using the blockchain, has announced that it applied for the acquisition of an official bank license for the establishment of a cryptocurrency bank in the tax evasion area of Caribbean. There are already growing interests in the industry in which company will hold the title of a cryptocurrency bank. However, experts advise that the level of technology and service should be well supported.